Women’s Environmental Network (WEN) is the only organisation in the UK working consistently to make the links between women’s health and well-being and environmental issues. Since forming in 1988, they have campaigned on issues overlooked in the mainstream environmental movement, bringing a gendered analysis to environmental issues but also broadening the scope of what is considered an environmental issue. This talk will highlight in particular their work on gender and climate change, as well as their current local food work with ethnic minority women in Tower Hamlets. About the speaker: Kate Metcalf is WEN’s Local Food Project Co-ordinator, and has 16 years’ experience in delivering participatory training, developing community networks and project management. For the past six years Kate has managed WEN’s Local Food programme, including Spice it Up!, the Tower Hamlets Food Growing Network and most recently Gardens for Life. Prior to that she worked on our Gender and Climate Change campaign and supported WEN Local Groups. She also worked for ‘Reflect’ at ActionAid, using participatory methods as tools to promote adult literacy, women’s rights and social change. Social structures powerfully influence individuals’ attempts to increase their own health and well-being, exacerbating social and health inequities. In this presentation, Prof. Dixon will discuss how as the global population rises and environmental resources per person shrink, conflicts over the underlying factors contributing to human health and well-being intensify, creating greater social and health inequities, including gender inequities. About the speaker: Associate Professor Jane Dixon is Senior Fellow at the National Centre for Epidemiology and Population Health, Australian National University. 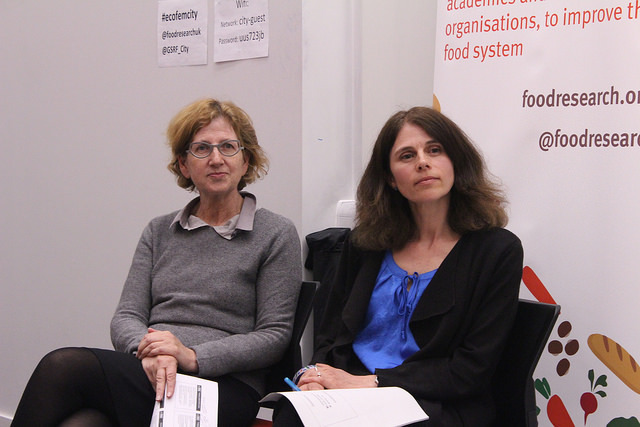 She will be in London as a Leverhulme Trust Visiting Professor, based at the Centre for Food Policy. For 13 years, she has conducted research at the intersection of sociology and public health, with a focus on the cultural, social and health impacts of food system transformations. Prior to this research track she was national coordinator of the Health Inequalities Research Collaboration, helping to establish the International Society for Equity in Health. In recent applied research, she has been an advisor to the WHO Western Pacific Regional Office and is a Visiting Research Fellow with the International Institute for Global Health, United Nations University, Kuala Lumpur.